Many research studies have shown that when people receive appropriate mental health care, their use of medical services declines. People with untreated mental health problems visit a medical doctor twice as often as people who receive mental health care. For example, let us look at anxiety. Excessive anxiety and stress can contribute to physical problems such as heart disease, ulcers, and colitis. Anxiety and stress can also reduce the strength of the immune system, making people more vulnerable to conditions ranging from the common cold to cancer. A standard method of treating anxiety is Psychotherapy. 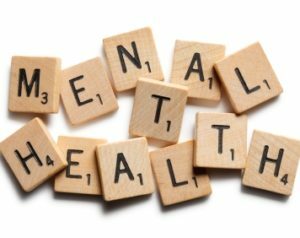 It consists of talking with a trained mental health professional and explore the causes of anxiety and possible ways to cope with symptoms. Also, Cognitive-behavioral therapy (CBT) is a highly effective type of treatment. CBT aims to recognize and change the patient’s thinking patterns that are associated with the anxiety and troublesome feelings. This type of therapy has two main parts.1) A cognitive part: designed to limit distorted thinking. 2) A behavioral part: designed to change the way people react to the objects or situations that trigger anxiety. People who have good emotional health are aware of their thoughts, feelings, and behaviors. They have learned healthy ways to cope with the stress and problems that are a normal part of life. They feel good about themselves and have healthy relationships. Psychological problems increase the likelihood that people will make poor behavioral choices which can contribute to medical problems. Smoking, excessive alcohol or drug use, poor eating habits, and reckless behavior can all result in severe physical problems and the need for medical services.